My Charlotte: Patty’s Story is a short, sweet memoir about a life in a garden and this writer’s first inspiration to create stories at the age of eight. The ebook includes my first story, "Arachne", which was published by Omni Magazine worldwide, by Hayakawa in Japan, and by Replik in Sweden. 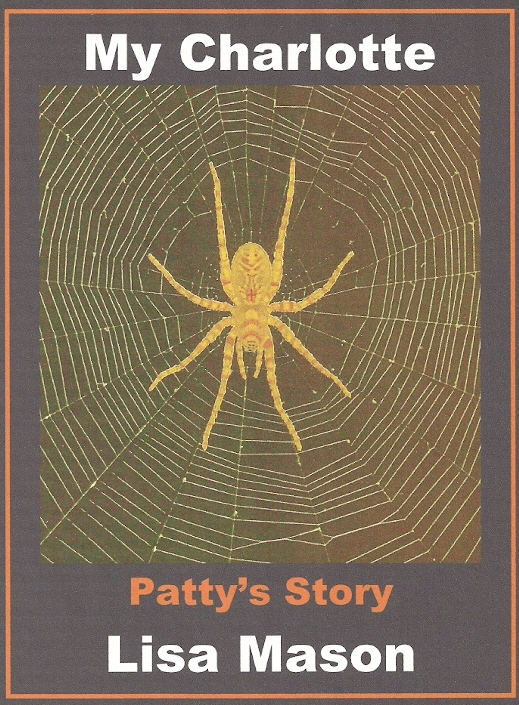 Reading Charlotte’s Web, the classic children’s book, inspired me to write my own novels at the age of eight. My quest to discover the meaning of the spider led me to Jungian psychology, myths, and symbols. The classic myth of Arachne became the subtext of my first story, "Arachne", published in Omni. I expanded the Omni story, and my first two early cyberpunk novels followed, Arachne and Cyberweb. Both were published by William Morrow in hardcover, Eos Books in trade paperback, and AvoNova in mass market paperback. Arachne debuted in the Top Ten Locus Magazine Hardcover Books List, along with Stephen King, David Brin, and Ursula K. Le Guin. Arachne has launched as an ebook worldwide. Check it out. Cyberweb has just been published as an ebook in February, 2017. Breaking News! Both Arachne and Cyberweb are now beautiful trade paperbacks BACK IN PRINT! Click on the links for more information. Visit me at Lisa Mason’s Official Blog, on my Facebook Author Page, on my Facebook Profile Page, on Goodreads, on LinkedIn, on Twitter at @lisaSmason, on Amazon, and at Science Fiction and Fantasy Writers of America. If you enjoy a title, please stop by the site where you bought the book and “Like” it, add stars, WRITE A REVIEW, Tweet it, blog it, post it, and share the word with your family and friends. Your participation really matters.